Yesterday I told someone, “Walk and talk,” while I spouted out steps to tackling complex problems. It occurred to me you need solutions. I have solutions. Believe it or not there are nerds out there working for you. They want you to be happy–to have the apps and gadgets you need. You can even offer them feedback by going to “contact us” on websites or “feedback.” I do it all the time. It’s like having my own professional developer at my side making me the stuff I want. You’ve used some of the software they’ve produced in our classes. The bottom line is this–when you’re struggling or overwhelmed with life, there’s an app for that. Throw out those annoying flash drives! That’s so 2005! Free yourself! So what if Google knows what you ate for breakfast? It’s free. Your stuff travels with you! Between us, we’ve been using Google, Evernote, Piktochart, Google Class, Instagram, Twitter… the list is endless and will get bigger. So, what’s project management software and how will it save my life? 1. Enter in complex tasks like Senior Project or college applications, breaking down the steps into to do lists. 2. Collaborate with friends by creating a project, assigning out the tasks with appropriate deadlines, and share notes that the entire team can see. 3. Change deadlines easily, seeing what’s going on in your personal and professional life in multiple views, such as list view, project view, task view, and calendar view. 4. Send cat pictures to your team. I said “Professional life.” Yes, indeed, I did. I use this stuff for real. It helps me as a professional. Really, I’m no better than you in life. What separates us is a few extra years of hard work, my five grey hairs, and all the mistakes I’ve made (like too much college debt) that I’m trying to save you from making. Project management software can help. Get your senior project and college applications in check RIGHT NOW. I already showed you Asana. Basecamp is a good one, too. It’s free for teachers, but cheap for real people. Both of these have mobile apps so you can take them on the run. Asana’s app is improving and functional but not the full platform. Slack helps you communicate in teams without email, and the mobile app is amazing. It integrates all your other programs, so you can compile docs, skype right from the platform, or just chat with teams right in one place. You could use it for projects. There is a free and a paid model. Google solves your “I can’t afford Word” needs while letting you collaborate in real-time with teammates all over the world. It’s so easy, I don’t even feel guilty when I say, “Why don’t you make a spreadsheet, analyze it, and let me know what you found.” Google Hangouts lets you work with your team 24/7. Twitter helps you find the top experts in the field you’ll be entering. If you’re serious about success, you should be there, your profile should be professional, and you should use Twitter to meet, retweet, and comment on material put up by intelligent people. The ability to do that is a game changer, trust me. That’s what I have in my toolbox today. Share your must have’s below. I didn’t have a car because my mother gave her beater to one of my friends. It appeared her dad could fix cars where mine could only break them. He’d hit deer and decide one fender and headlight was more than enough. That was the car I borrowed to drive myself to the prom. And no, I didn’t have a date. That friend, who “bought” my car for one dollar (because in order for a legal purchase to take place you need a bill of sale where money exchanges hands) always charged us two dollars for gas money. “Do you have two dollars?” Gas was pretty cheap in those days–lower than 99 cents a gallon. My best friend’s mom always chastised me. “You should get a car and drive into Hartford to waitress.” I couldn’t do that, because I was broke. It takes money to buy a car. I was going away to college and wouldn’t really need a car. If I could afford a car, it’d be a bad one, which meant I’d need to budget money to fix the car, too. Then, there was the matter of insurance. I figured it all out mathematically, and it didn’t make make sense for me to buy a car, maintain it, pay for the gas to Hartford, and pay for insurance–I’d be paying to go to work. My second chance to get a car was in college when my grandfather stopped driving. Old people shouldn’t drive, plain and simple. Every once in a while you meet an old person who is a couple hundred years old and still remembers to turn the stove off, but my grandfather wasn’t that person. The car sat in the garage. When cars sit, things go wrong. There are parts to the car that need to move to be in top shape. Cars that have been sitting have rot in places that shouldn’t be rotting. My grandfather’s car had a mouse or ten that moved in, and repairs that needed to be done. It was decided that my cousin in med school should get the car. I lost again. This was a painful loss because it relegated me to the bus line. If you take the bus you know what I mean. There are limited jobs on the public transportation line, and unless you live in a commuter friendly city like New York, Boston or San Francisco, you’re basically sentencing yourself to a life of Burger King. Transportation is a social justice issue. We’ll examine it. Should I buy a car or can I walk? How much money do people without access to good transportation lose compared to those with reliable transportation? What do I need for insurance, and why’s it so #$%#$ expensive? Select an insurance company and policy. In order to have money you have to know where it is. This means you need a financial institution and all the cards and statements that go with it. “Sometimes it takes a couple days to show up.” We’re so used to everything being instant we don’t realize there are sometimes time delays. So, he was spending the same money more than once. The bank frowns on this. They’ll cover for you like a loanshark, he discovered, but slap you around with some $25 fees to remind you to be responsible with your cash. You should know where your money is and what’s going on with it at all times. 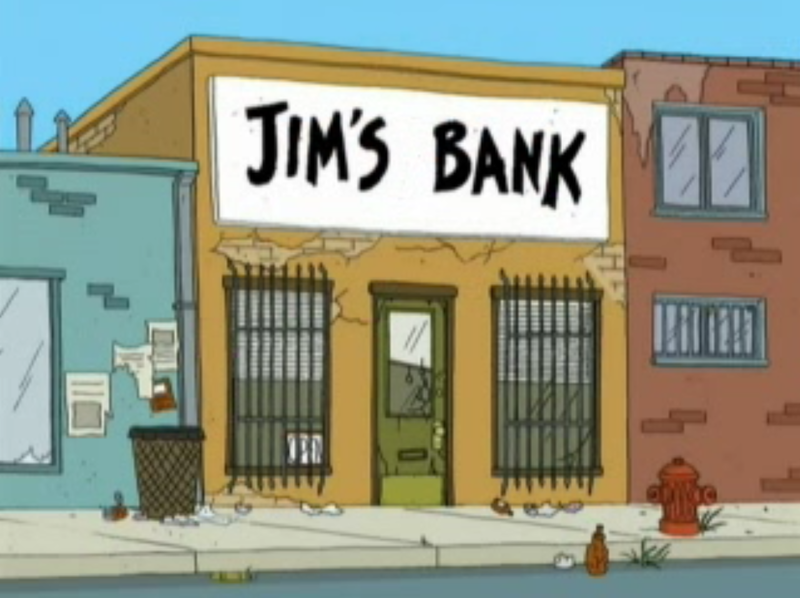 Do I have a financial institution I love? What’s the difference between a credit and a debit card? A checking and savings account? A CD and a CD-ROM? Which of these things do I need to survive in the real world? How do I tie together the stuff I’ve learned about financial literacy–debt, savings, planning–together with the best financial institution in the world–to get the ball rolling? What’s my liability when someone in some country I can’t spell steals my identity? How do I fix that? Let’s do a scavenger hunt. First team done wins. In the past, money was concrete. For example, if you had a chunk of gold, it was worth whatever the value of gold was times the weight of your gold. That’s why people bit gold in old Western movies. It wasn’t that they couldn’t eat at the chuck wagon–it was that unscrupulous people would devalue gold by mixing in other metals. Gold is soft. If you bite hard enough, it should leave a tooth mark. I’m not really sure I want your dental records on my wallet, but still. Paper currency and credit were invented because it’s heavy carrying all those coins. If we agree on the value of the paper I gave you, the that’s a good thing. We can do business without bringing our camel caravan filled with heavy metals. There are countries out there with really bad economies, and nations that play with the value of money. Cryptocurrency was invented to get around this. There is no centralized bank, and the money is not fiat money. Fiat money is all the money you have in your wallet–money that some government makes and you believe has value because the government says it does. What happens to currency if the government collapses? Well, then, many people turn to commodity money. 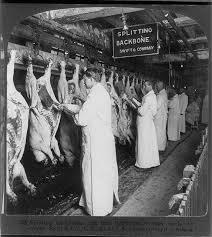 Commodities are goods that are traded on the market–generally foods or resources. These have value based on supply and demand. For example, if a pest wipes out the coffee supply and I own coffee shares, then coffee’s going up in price. If I sell then, I make cash. Oh, sorry. Here’s a little primer. 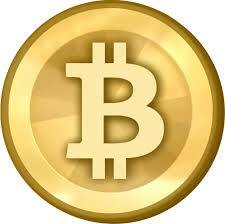 Bitcoin is a decentralized form of money that only exists in electronic form. It’s transferred via the internet using a “P2P” (person to person) protocol. In other words, there’s no centralized bank, government agencies, taxes, or anything like that. It has a floating value. People mine bitcoins by finding them hidden on the internet–to unlock them takes some computer genius and for the average person’s probably not going to be a possibility. Yes. The value is floating–meaning it changes based on market demand. You can therefore invest in bitcoin, hoping to buy low, sell high. The price has been over $1K/btc, but today rests much lower. You can buy bitcoin in exchanges. Only 21M btc will ever exist. Satoshi Nakamoto began working on the concept for bitcoin in 2007. It’s a pseudonym, and he may be one person or a collective group. This timeline gives a great history of the rise of bitcoin into mainstream. Is bitcoin a good thing? Depends. If you’re a person in a country with a destabilized currency–a currency with crazy inflation or no consistency–then it may be good. I lived in Russia when the government decided to reissue the ruble. This meant that after a certain date the old currency wouldn’t be accepted. People rushed to spend the money they hid under their mattresses, or trade it at banks (where they had limits to what they could trade in) or mafia kiosks which gave them fractions of the value for the purpose of trading them in. It was devastating. These people would have liked bitcoin or other cryptocurrencies. People living in China trying to get around government regulations, war-torn countries with crazy inflation, or places with chronically untrustworthy currencies and policies, like Argentina like bitcoin. “Who doesn’t like bitcoin?” Governments trying to impose regulations, taxes, or trace money do not like bitcoin. Investigators do not like bitcoin because going off the radar means that shady people run to cryptocurrency. Yes. You can invest in bitcoin and speculate that the market will go up, especially now that it’s getting harder to mine bitcoin and the supply will be steady. But there is risk–if all of a sudden people decide this is just a fad and there’s no increase in usage, and some key investors say that’s currently the trend (that bitcoin needs more people to use it and more merchants to accept it). What are the other uses of bitcoin? Bitcoin is a ledger–a place where online transaction records are kept. The uses could be endless. Even for those who don’t wish to spend it, tech geniuses are seeing the value in developing platforms and ideas that support cryptocurrency. The data trail can be used as a date/time stamp, a transfer of information, or even to certify voting and elections. So, even though you probably can’t and won’t mine bitcoin, it doesn’t mean you won’t develop some technology that will still make you a pretty retirement. College is overpriced. Looking at amortization tables and college loan calculators might make you feel all’s hopeless. It’s not. You must recognize the difference between good debt and bad debt. Good debt gets you to where you want to go. Bad debt puts you in a hole you can’t escape. How do you know the difference? Here are some examples. You’re starting a business. You borrow a thousand dollars to get you off the ground, but you’re working your day job, so God forbid something happens, you can make the payments. Your business succeeds. You pay off that debt. You pay for your gas with a card and pay it off once a month. Good debt. You finance a used car. You know it costs $200/month, but you can afford the payments. Your goal is to establish good credit with the loan. You want to go to college for nursing. A degree is required. You look at several colleges, choose the one that gives you a great financial aid package, and borrow the least amount of money you can. You borrow some money but work a second job over the summer and pay down the debt as soon as possible. You buy a car at 0% interest and pay only the payment–you don’t overpay the loan. Instead, you invest the rest of the money you have, making a return, effectively using that car loan to give you money to make money. Bad debt is debt that can bury you. You fall victim to a credit card offer at a 21% interest rate then start carrying a balance. You buy a car that you can’t really afford. You overextend borrowing for your business or expand too fast using other people’s money. How can you use debt to your advantage? What types of debt can save you, and what types of debt can bury you? What are the effects of compound interest on any loan? We’ve been using calculators to look at compound interest. Here’s the math behind the calculator. Try one or two compound interest problems. Have a victory moment. Here are a few you can defeat. Check your answers. Don’t cheat. You’ll get bad karma. P.S. Compounding works both ways. You can spend money with debt but you can make it on the flip side investing. More on that later. Learn the effects of the math. You enjoy many rights in the workplace given to you by people’s blood, sweat, and tears. Now’s an interesting time to discuss this subject, because in a difficult economy we often give back many rights in order to keep jobs. Still, you need to know what your rights are in any employment situation you might encounter. This is critical. You, as an informed worker will then be in a position to choose to exercise your rights. Not every worker does, but there comes a time where you might choose to–your health, safety, or safety of others might be at stake. I’ve worked for a good long time. I’ve seen many people choose silence for economic security. I’ve seen others leave their jobs just to make a statement and fix things that needed reform. It’s a courageous thing to do. Enjoy this three-minute excerpt from Upton Sinclair’s 1906 exposé, “The Jungle.” Go ahead, pull out a snack and beverage if you’ve brought it. Maybe some sausage and eggs… (Here’s the full text of the book along with the Spark Notes. There are no Thug Notes for this book). This book made it all the way up to the ears of President Teddy (“Speak Softly and Carry a Big Stick” ) Roosevelt. At first, he dismissed it as Socialist nonsense, but sent labor commish Charles Neill to investigate. They found the claims to be true. Perhaps they cared for the workers or maybe they were revolted because they had sausage and eggs for breakfast, but soon enough the Federal Meat Inspection Act and the Pure Food and Drug Act (sorry guys, no more laudinum, heroin, and opium in your cough syrup or soda) in 1906, Congress, (who must’ve been awake that day) passed some of the most epic legislation of the Progressive Era. The Triangle Shirtwaist fire of 1911 resulted in 146 deaths, but it raised awareness for safety in factories resulting in some of the improvements workers–maybe you–enjoy today. Rhode Island’s own Zachariah Allen was a leader in safety. As a textile mill owner, no one wanted to see fires less than him. He innovated many safety features, such as the fire door, sat on the town council when Providence got its first fire truck. Eventually, he helped found Providence Mutual Fire Insurance Company. He was angry that his rates were so high after all that safety innovation (rates should reflect risks) and went on to found his own companies that took risk and safety into account. Sadly, he went bankrupt on the Panic of 1857. Nice guys finish last. After World War II, the US began to see a whole different direction in worker’s rights as the 1947 Taft-Hartley Act tied workers’ hands, making striking illegal, leading to one of the largest strikes in US history, the 95 day Longshoreman’s Strike of 1948. 1. After looking through these links and assets, what rights do you enjoy now that weren’t there at the onset of American labor history? 2. Show how these key events, movements, and situations in American history defined how we consider labor law today. 3. “Companies must make profits. Workers accept jobs freely.” or “Government must be able to regulate industries and protect workers.” Which is true? Find examples from history and present day.